Most Aspiring Screenwriters Think Screenplay Structure Is All About Three Big Acts, With Nothing Going On In-between. Don’t Be One Of Them. Are You Stuck Thinking About Screenplay Structure As 3 Big Acts? Aspiring screenwriters tend to think of screenplay structure in terms of three long Acts. Professional screenwriters approach script structure in terms of “mini-movies” within each Act called Sequences. 1. Most aspiring screenwriters think script structure means 3 Acts and that’s it. Yes, a screenplay can roughly be divided into a beginning (Act 1), middle (Act 2) and end (Act 3), but this is too simplistic. In fact, mastering screenplay structure means learning all about the seven or eight Sequences that underpin these three Acts. 2. Most aspiring screenwriters gain their knowledge on how to structure a screenplay passively: from screenwriting books, blogs, conferences, seminars, etc. This means when it comes to actually structuring their script, they find it hard to apply what they’ve learned, resulting in the same poor screenplay structure. 3. Most aspiring screenwriters don’t realize screenplay structure is best learned through doing rather than just reading or listening. Becoming a professional screenwriter means putting in the work to really unlock how screenplay structure really works by breaking down existing movies into Sequences. This is where our book Master Screenplay Sequences: How To Revolutionize Your Understanding Of 3 Act Structure comes into play. It solves these and many other issues that aspiring screenwriters face during their journey to a professional writing career. Put together, each sequence (or “mini-movie”) underpins your regular 3 Act structure, fixing seemingly free-floating plot points in place. In other words, this is a screenplay structure method that actually makes writing quicker and easier by giving your protagonist a series of small goals to work toward, rather than just one big one at the end of each Act. Check out our About Us page for more info but, in a nutshell, after much trial and (even more) error, we’ve “made it” as pro screenwriters and now we’re here to help you do the same. And that means helping fix your screenplay structure issues! We know how hard it can be to sustain conflict within a screenplay—from the Inciting Incident, right the way through to the Climax. It’s probably the number one question we get from aspiring screenwriters on how to tackle their script’s structure. » Write scripts quicker and easier by breaking them down into seven or eight “mini-movies” rather than three big, long acts. 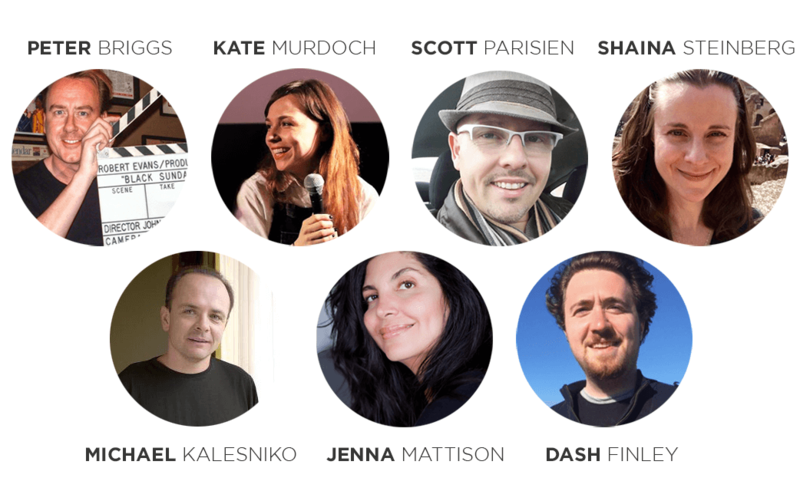 » Save time and effort by not having to endlessly rewrite poorly constructed screenplays. » Learn how to create “page turner” screenplays by using the natural highs and lows found in progressions of sequences. » Use the same screenplay structure as the pros. This book has been written, tried and trusted by us: professional screenwriters who’ve used sequences to launch their own careers. » Complete analysis of screenplay structure missing from most screenwriting books and courses enabling you to step up to the level of pro regarding script structure. » Deep dive on sequences. We fully explain how sequences work by breaking them down to show their inner workings—how they should be viewed as “mini-movies” with their own three-act structure and how they fit within the overall screenplay. » Breakdowns of 5 popular films into sequences. We demonstrate how sequences are applied by professional screenwriters in their screenplay structure by taking a look at one movie in each of the major genres. Discover how sequences are applied across all types of films, from Comedies to Horrors. » Drama breakdown. For this section, we demonstrate how even languid, “free-floating,” “arty” movies such as The Virgin Suicides, utilize sequences. If you’re writing a dialogue-heavy Drama this is essential reading. » Comedy breakdown. The hit movie Bridesmaids is under the microscope in our Comedy section. See how many of the sequences perfectly define the concept of “mini-movie” with each one setting up a clear goal for Annie in a different location — the dress fitting, the Vegas trip, etc. » Action/Adventure breakdown. This is probably the most popular genre in Hollywood today. In our first analysis, we break the classic Raiders of the Lost Ark into sequences. See how the writer creates that “roller-coaster” effect by utilizing sequences based on the Ark changing hands. » Thriller breakdown. In this section, we take a look at the stylish Michael Mann movie Collateral: a great example of the classic Thriller technique of placing an ordinary guy in extraordinary circumstances and turning him into a hero. At the end of Sequence F, Max is safe from Vincent; but he must then risk his life to save Annie. Is It Worth $29 To You To Master Screenplay Structure Once and For All? 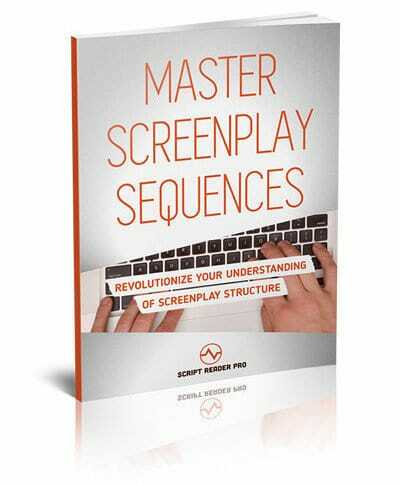 Our book, Master Screenplay Sequences, has helped hundreds of aspiring screenwriters master script structure. Now you can join them, all for the price of a cheap takeout with a friend! The book comes in a variety of files (.pdf .mobi and .epub) for use on desktops, laptops, iPads, Kindles and other mobile devices. 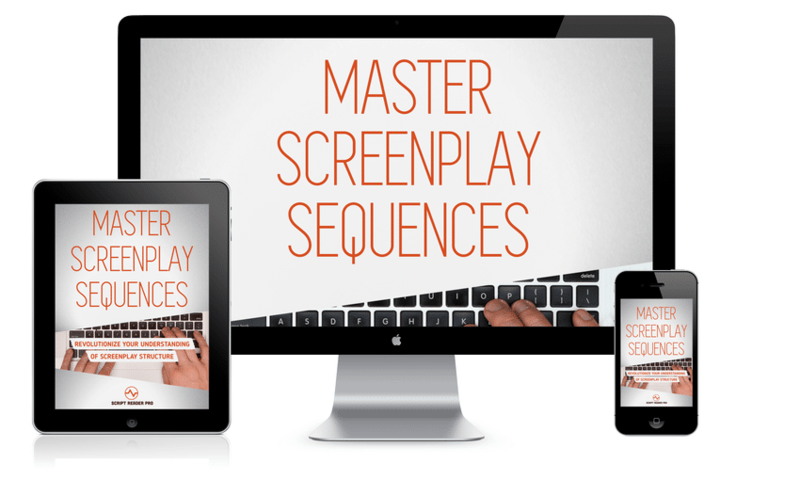 Read anywhere, anytime and learn how to apply sequences to your screenplay. We created this book because we believe that screenplay structure shouldn’t be as mysterious and hard as it can appear. This is your passion and your future and so it’s important to learn from writers who’ve gone before you, use their expertize and follow in their footsteps in order to get where you want to be. Simply put, we believe in what we created with Master Screenplay Sequences. We know the material in this book works because we’ve used it to skyrocket our own screenwriting careers and go from aspiring to pro writers. BUT… if you learn the techniques in the book and find for any reason they don’t improve your screenplay structure, we’ll give you 100% of your money back. You deserve to try this stuff without taking the risk, so just email us and we’ll make sure you get a FULL REFUND. No questions asked. You’ll find the answer to some of the most frequently asked questions about our screenplay structure book below, but if you don’t find the answer you’re looking for, you’ll find more answers in our knowledge base. Q1. Does this book cover EVERYTHING when it comes to screenplay structure? No, it doesn’t touch on every script structure theory that’s out there. The book focuses solely on how to write a screenplay quicker and easier than ever before using sequences. Q2. Can I ask you guys some structure questions that aren’t answered in the book? Yes. Simply head on over to our blog post How To Master Screenplay Structure Using Sequences and leave your questions in the comments section. We monitor them daily and will reply to each and every one of your script structure queries. Q3. Do I really need to buy a book on screenplay structure? It all sounds a bit mechanical. Yes, we get that approaching screenplay structure via sequences can appear mechanical and “uncreative,” but it’s not. Sequences are what allow the writer to be as creative as they like with the story by giving it a solid base on which to stand. Q4. Can I get a refund if it doesn’t help me? Sure thing. 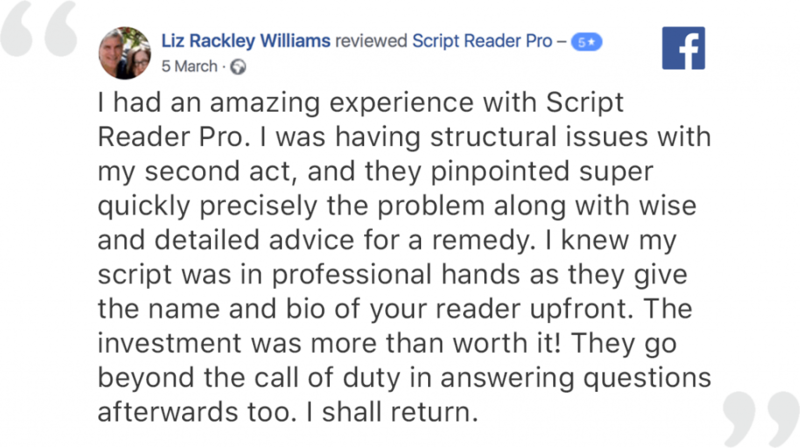 If by the end of the book you’re still none the wiser on how to utilize sequences or screenplay structure in general, we’ll give you a full refund right away. No questions asked. 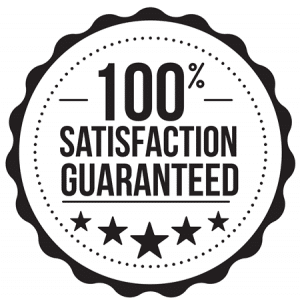 You will be taken to a 100% secure direct download area where you can pay quickly and easily by either Credit Card or PayPal and have our screenwriting book on your computer or phone in under a minute.